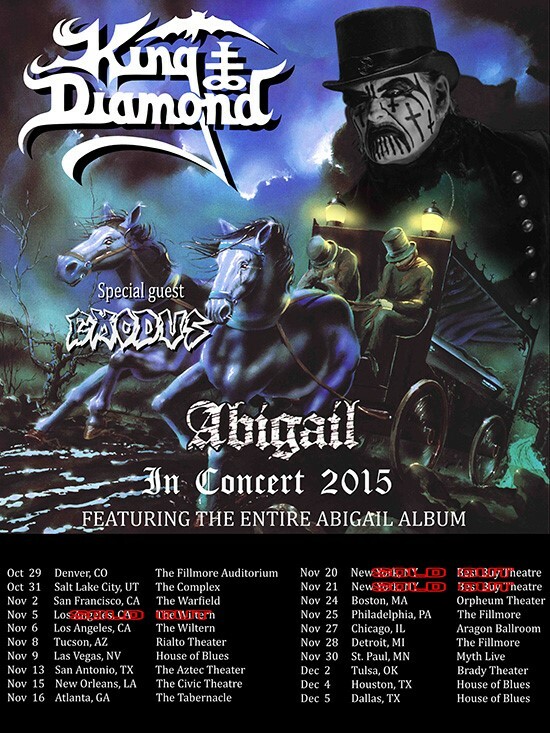 King Diamond will be recording a feature length live concert video for blu-ray / DVD / digital release while on tour this fall! Director Denise Korycki (Cannibal Corpse, Killswitch Engage) has been enlisted to direct the project, which will include footage from multiple shows throughout the entire “Abigail in concert 2015” tour. In other news, a brand new King Diamond interview is online. Head to Billboard.com HERE now to read the interview, which includes some less known facts about the recording process of the Abigail album!